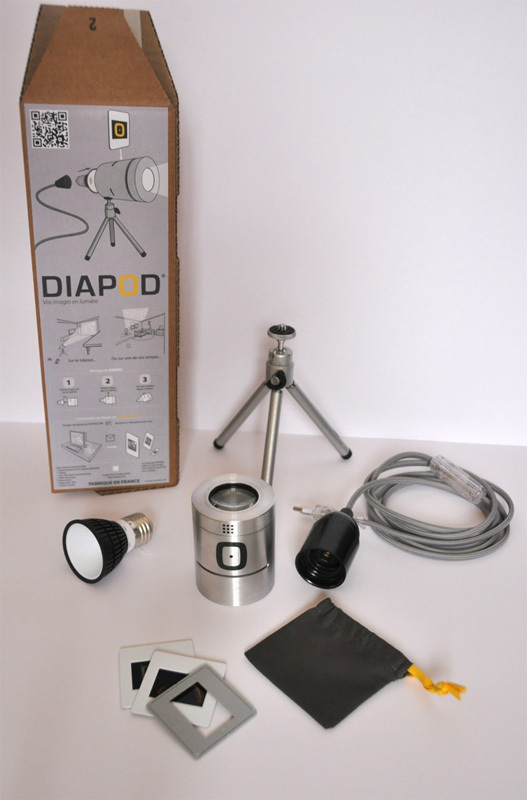 Diapod with Medium optical lens 50 mm focal. High power LED spot, low consumption 3 Watts. Mini tripod of your choice. You might require an adaptor to use Diapod.